Dunder Casino is a hugely popular modern online casino with a lot of style. Founded in 2016, the casino boasts around 1,000 games from top designers. The Swedish creators of this casino opened it based on the belief that “playing should be fun, easy and hassle-free”. The site looks fantastic and navigation is aided by the way that games are divided into categories so that you can easily find your favourite. The Casino Gorilla is on the case and our expert ape is going to pass judgement on what Dunder Casino has to offer. A welcome bonus is an important way to attract new players and to separate your casino from the crowd. At Dunder they want to entice you to join by offering the type of bonus they would have liked to see themselves. They are offering a total potential bonus of £600 plus 180 free spins. It’s not a bad offer but will require a large investment of £2,050 spread over those four deposits in order to maximize it, as £450 of that bonus total comes from 25% matching offers. You must activate the bonuses from the deposit page in order to accept them. The wagering requirement here is 25 times the deposit plus bonus, which could end up being a pretty large total. Note that all bonus money expires 30 days after you receive it. When you make a qualifying deposit and accept the bonus offer you will also receive 180 free spins on the famous Starburst game. This is one of the world’s most popular slots and offers the chance for some decent wins if enough of those Starburst symbols appear during your free spins. Those 200 spins are parceled out at 20 per day for 10 days and will expire after 24 hours if not used. Basically it’s a way to keep you coming back and logging into the casino every day. To be able to withdraw any money you win using the free spins you must wager your winnings x25 times on Starburst or any other slot game. Although a bonus code is not required to earn the Dunder welcome package you will need to accept the bonus offer by activating it on the deposit screen. A bonus code is normally sent to you by email should a future offer become available. You would then enter it in the space provided on the deposit page to make it active. After being blown away by the vast selection of slot games available at Dunder, the Casino Gorilla was a little bit disappointed by a lack-luster collection of live games on offer. You can find Live Roulette, Live Blackjack, Live Baccarat, Live Casino Hold’em and Live Three Card Poker. It is a good range of games, but you only get to play on one table of each without additional variations. The good news is that these games come from Evolution Gaming, so that you know there is some quality gaming coming your way. When you play Dunder Casino on your mobile you will still have around 500 games to choose from, which is a fantastic selection when compared to your average mobile casino. Play with Apple or Android devices and you can access using a dedicated app or by simply entering the site name into your browser. Modern casino games don’t lose anything from being played on the smaller screen and still make for an immersive gaming experience. There is no fee charged for making a deposit with Dunder, and you can do so via Visa and Mastercard, Trustly, Skrill, Neteller, Euteller, EcoPayz and Paysafe. All the same options can be used for withdrawals with the exception of Mastercard, and again no fees apply. Withdrawals are limited at £5,000 per transaction, except for Euteller and Paysafe which have lower maximums. Both deposits and withdrawals are processed speedily and efficiently which is always an important factor. Dunder Casino is licensed and regulated by the Maltese and British regulators, two of the best in the business. In order to maintain licenses with these bodies Dunder must adhere to the highest standards of security and fair play. All of the games on the site are built on certified random number generators that are approved and certified by independent third parties. All data is fully encrypted to make sure that transactions cannot be intercepted. 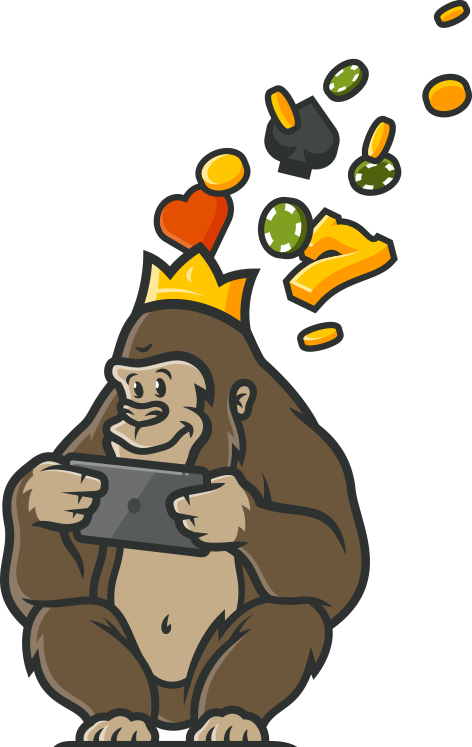 The Casino Gorilla just loves how easy and intuitive it is to get around this site. Even when you are trying to do so using enormous gorilla fingers. Contacting customer support at Dunder Casino is just as easy. Customer support team is available all day every day, and you can get in touch in English or one of a selection of Scandinavian languages. Contact them with any queries either by email or live chat. Argentina, Australia, Armenia, Azerbaijan, Belgium, Brazil, Bulgaria, China, Costa Rica, Cyprus, Czech Republic, Denmark, Ecuador, Egypt, Estonia, France, Greece, Hungary, India, Indonesia, Ireland, Israel, Italy, Morocco, Nigeria, Pakistan, Philippines, Poland, Portugal, Romania, Singapore, Slovakia, Slovenia, South Africa, Spain, Turkey, Uruguay. Dunder Casino looks absolutely stunning, whether you choose to play on desktop or mobile. The quantity and quality of games is superb, as you would expect from the excellent providers that this casino works with. It requires quite a large investment to maximize your welcome bonus offer and the majority of people will not manage this. There is also a very long list of restricted countries which means a lot of people simply won’t get to enjoy this casino. However, it always comes back to the games in the end and for lovers of slots you will certainly enjoy the experience of playing with this richly-stocked casino. I was taken back with the choices of the games there is to play! At first, it was quite intimidating if I’m being honest. I mean, given the sheer amount of choices, I was confused which game I wanted to first try my luck with. I ended up playing Mega Moolah and ended up loving the whole experience from first to finish. The game loaded first and also there were no crashes. It also excites me knowing that there are many more games left all at the tip of my fingers! Everyone should give Dunder casino a try or else, you are missing out! The number of games for mobile is amazing! I enjoy this casino every day and am always finding new games to play. Some nice deposit bonuses as well and the customer support team is responsive.